You've heard of haunted houses for Halloween—but what about ghost forests? Far from being frighteningly fun, ghost forests are a growing problem along much of the East Coast. Ghost forests, as scientists refer to them, provide a stark visual indicator of sea-level rise. Bare, pale trunks line areas where once healthy coastal forests thrived. 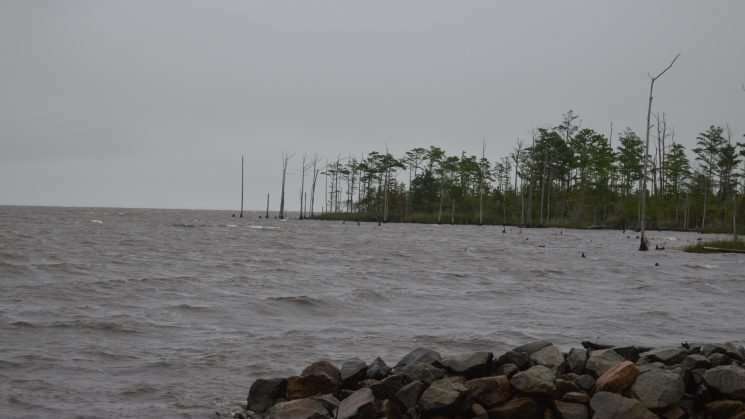 These coastal forests just can't keep pace with the encroaching saltwater that is creeping farther inland into the soil and surface waters of the coastal plain. This combination of saltwater intrusion and forest retreat is transforming freshwater landscapes long before rising seas permanently inundate the land. Saltwater intrusion has been occurring since the end of the last ice age when the oceans began rising due to melting ice sheets many thousands of years ago. But it is the rate at which this phenomenon is taking place that has many scientists taking note. Sea-level rise is one more stressor on forests worldwide—forests that are already threatened by land clearing, fires, disease and invasive species. Overall, these combined changes are diminishing the ability of plants to fight climate change. Plants are well known for their role in absorbing carbon dioxide. In the science arena, that is known as carbon storage or carbon sequestration. This important "ecosystem service" means that plants are providing clean air for humans and wildlife. Sea level rise threatens the very ability of forests to provide all of these important benefits to both wildlife and humans. The reduction in carbon sequestration due to sea-level rise can exacerbate climate change and its negative impacts. Forest retreat also fragments—and in some cases even eliminates—important habitat for some wildlife species. 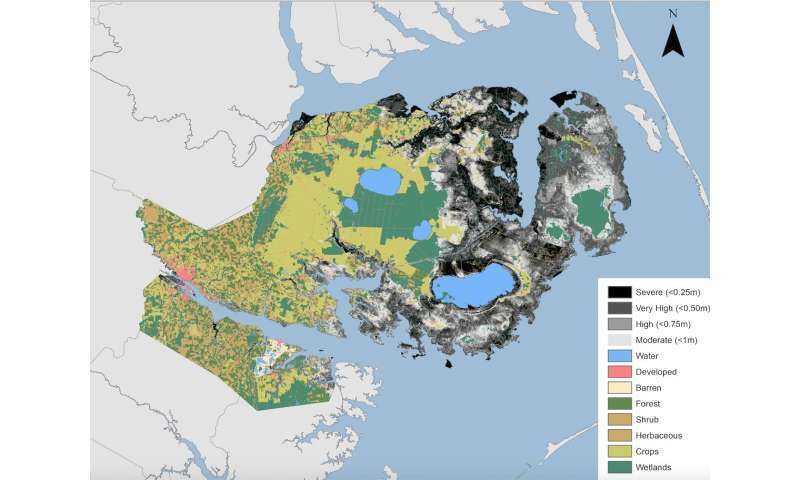 It limits the ability of coastal forests to serve as buffers from storms and storm surge. 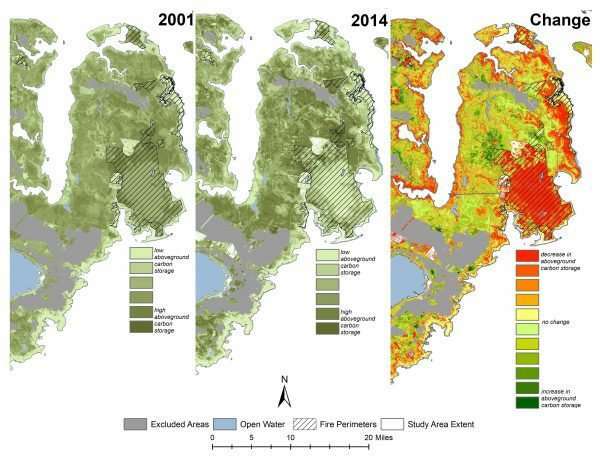 With the loss of these forests, interior areas can be exposed during large storm events that were previously protected. Ghost forests can be seen along the Albemarle-Pamlico peninsula in rural eastern North Carolina. An interdisciplinary team from NC State University's College of Natural Resources, of which I am a member, is tackling a number of issues related to saltwater intrusion and its impacts. We refer to ourselves as the SALT team, for Salinization: Adaptive Capacity Building for Land-use and Tourism Development. Our applied research seeks solutions to critical land and water issues. One of the main goals is to outline potential solutions that local communities may adopt to cope with problems associated with saltwater intrusion. As part of this project, my research is looking to better understand mutually beneficial ways that humans and wildlife can adapt to these changing coastal landscapes. "In the near field outside the former ice margin, the land sinks relative to the sea. This is the case along the east coast of the United States, where ancient beaches are found submerged below present day sea level ..."